Blac Chyna just suffered quite the public humiliation. 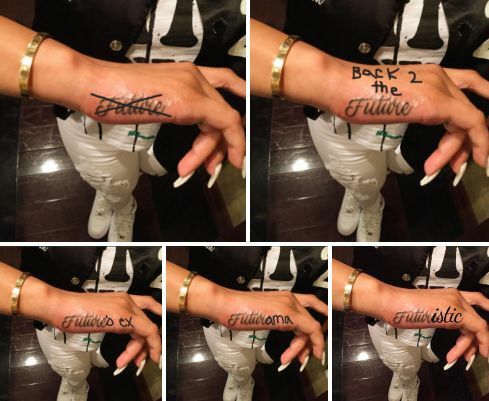 Over the weekend, she had IGed out to the world her new "Future" tattoo, which was forever inked on her hand. This seemingly confirmed the rumors that the pair was dating. Future responded to that yesterday with a series of Tweets that made it quite clear he was still single. According to TMZ, Chyna thought that was a low blow. But she claims she's not sweating it too much because she considers Future "her man" and they have been spending every weekend together. If this was a ploy to get back at Tyga, she should have picked a rapper who's less of a savage than Mr. Hendrix.